Before 2009, the number of children in Arizona’s foster care system hovered between 6,000 and 9,000. By 2011, there were 10,883 kids in the system. A year later, 13,461. By 2016, there were almost 19,000. The same thing was happening nationally. The 397,000 children in foster care in 2012 increased to 415,000 in 2014, then to 437,000 in 2016. The headlines pressed urgency onto a growing movement. 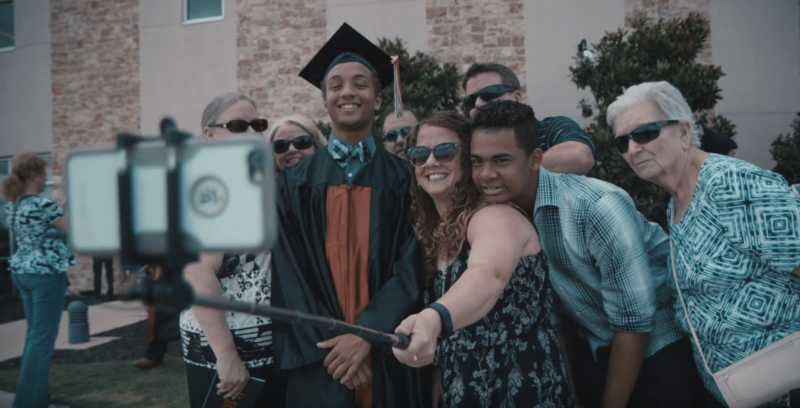 In the early 2010s, churches from Colorado to Florida to Arizona to Washington D.C. had begun to band together to recruit and support foster and adoptive families. The movement would not have been easy to predict. While Christian families had been fostering children for “decades and decades,” the church didn’t have a large or consistent presence in the foster care world, Christian Alliance for Orphans (CAFO) national director of foster care initiatives Jason Weber said. That wasn’t dumb luck. Many Christian families and circles had been preparing for decades, long before the first headline. They just didn’t know it. When the number of foster kids first started to rise, nobody could explain why. Before fiscal year 2012, the number of kids in foster care had dropped for 13 straight years. “We are concerned about any increases in the foster care numbers, and we are working hard with our state partners to better understand the reasons behind the increase,” Rafael Lopez, commissioner of the Health and Human Services Department’s Administration on Children, Youth, and Families, said in 2015. Two years later, the department had a better answer: the opioid crisis. Of the 15 reasons states could indicate for why children were removed from their homes, a full third were parental drug abuse (34 percent). O’Dell also points to the Great Recession, which depressed the income of both families and also states. From December 2007 to February 2010, Arizona lost 11 percent of its jobs—more than any other state except Nevada. “It’s almost always a tangle of threads—financial poverty, often substance abuse, a lack of resources and education, unemployment, maybe also sexual abuse, a lot of very broken relationships”—that land children in foster care, Medefind said. Most of those factors are exacerbated when the economy goes south. In Arizona, the rising numbers of children were compounded by a 12 percent drop in the number of foster families. That wasn’t unusual—at least half of states were seeing fewer families willing to foster. Some of that was due to frustrations with the system—in Arizona, foster parents were getting less attention from overworked caseworkers and fewer resources. The annual emergency clothing allowance was dropped from $300 per child to $150; the books and education annual allowance fell from $165 to $82.50; the camp and vacation allowance was suspended. 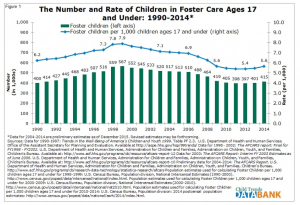 Before fiscal year 2012, the number of kids in foster care had dropped for 13 straight years. There are other reasons to quit: Some foster parents adopt and stop fostering; others drop out because it’s hard to love a child and then let him go. Some experts point to the increase of single parents or two working parents, which leaves little margin for another child. In Arizona, the Department of Child Safety staff grew desperate, placing kids in foster homes hours away from their community, filling up group homes, and making temporary beds for kids in their offices. The Arizona Republic ran an exposé on the state’s Department of Child Safety, and Redemption Church pastor Tyler Johnson read it. Worried, he met with the pastors of Hillsong Phoenix and Mission Community Church. “We said, ‘What would it look like if we did something?’” he recalled. It wasn’t as if Christian families had never been involved in foster care. Here and there a family would open their home to children who needed care. But they had to be pretty persistent to do so. “One of the biggest gaps of church engagement in foster care is a huge knowledge and language barrier,” Weber said. Learning the government’s process can be frustratingly confusing. Compounding that “was the lack of response from the government,” said Shelly Radic, president of the Christian foster care and adoption organization Project 1.27. It wasn’t always easy to get a phone call returned or a question answered. “And then, if they did connect and go to the [adoption/foster care] training, they felt like they were asked to check their faith at the door,” she said. Aside from an occasional meal, the church wasn’t generally there for support either. But that wasn’t because the church didn’t care about children. Over the span of a decade, international adoption rose from around 7,000 a year (1990) to nearly 19,000 (2000), peaking at almost 23,000 in 2004. CAFO was founded that year, providing both a meeting place and leadership for those interested in adoption and foster care. 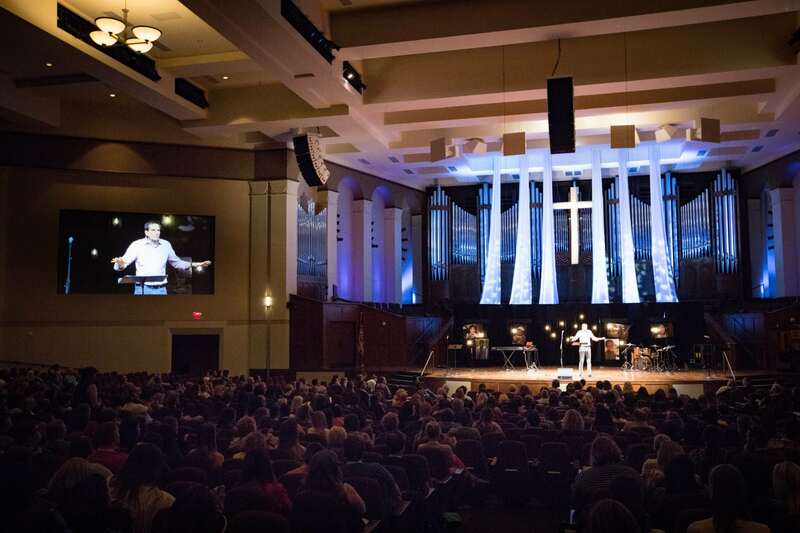 “Unified efforts like that bring far greater impact than when organizations work in isolation or competition,” the Evangelical Council for Financial Accountability (ECFA) observed. 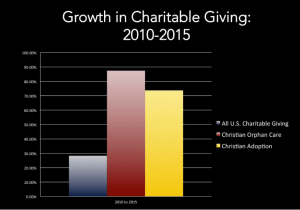 ECFA backed that up with numbers: Giving to Christian orphan care rose more than 87 percent, and giving to adoption rose by more than 73 percent from 2010 to 2015, much higher than the overall increase of about 28 percent. 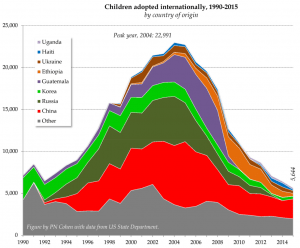 Then, starting in 2005, international adoptions began to plummet. Reasons range from stricter State Department regulations to the relaxing of the one-child policy in China to countries closing international adoptions until they can clean corruption from their systems. But many churches and families had become passionate about caring for children in need. In 2012 in Arizona, the three pastors met to discuss the foster care crisis. 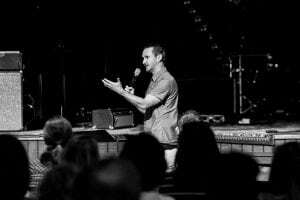 There were so few organizations helping churches foster and adopt domestically that all three thought of the same one. Project 1.27 (named for James 1:27) had launched about five years earlier, when a pastor in Colorado began wondering why the 875 adoptable children in his state were still waiting for a family when there were 1,500 churches sitting in the Denver metro area. Project 1.27 staff built relationships with state personnel and advocated for consistent parental training from county to county. They visited churches, explaining the need, teaching leaders how to build adoption ministries, connecting families in support groups, and offering their training course as often as they could. Last month, Project 1.27 celebrated its 400th adoption. In seven years, the number of children waiting for permanent homes in Colorado plummeted from 875 to less than 300. But along the way, Project 1.27 realized something. Project 1.27 made that shift around 2012—just as the foster care crisis was hitting the country. For Radic, it’s a sign of the maturing of the Christian adoption movement. Arizona 1.27 leaders knew, going in, that foster care and adoption wasn’t going to be a quick win. But they had no idea how slow and hard it would be. In sum: “There are a lot of reasons why churches wouldn’t do it,” he said. But a lot of churches did. Since 2010, close to 2,000 families from more than 90 churches have started the process of fostering or adopting with Arizona 1.27. Through 2017, those families adopted 450 children and fostered more than 2,150. Arizona 1.27 is now the biggest recruiter of adoptive and foster families in Arizona. “Adoption and foster care have created an environment for discipleship unlike anything we knew we were getting into,” Johnson said. That’s because fostering a child can break your heart. In championing adoption and foster care, Redemption is asking members to do something that’s too hard for them to do. “Now they’re following Jesus for survival,” Johnson said. He points to the bookstore that Redemption just converted into a prayer room. “I don’t think we would have been pursuing prayer the way we are if foster care and adoption hadn’t pressed us to feel this level of need,” he said. Improving discipleship this way “wasn’t the plan—the plan was to be obedient. I don’t think I understood the whole of it—how it could begin to affect the church. Johnson encourages his church by reminding them that we are orphans that have been adopted by God. 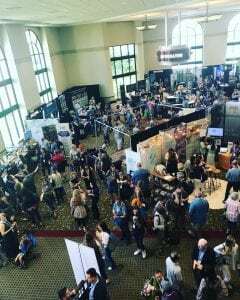 More than 2,000 foster and adoptive parents, orphan advocates, pastors, and professionals from 30 countries met in May for the 2018 CAFO Summit. In Florida, 4KIDS was launched out of Calvary Chapel Fort Lauderdale; in 2016, it placed 546 children in Christian foster homes. The CALL has recruited more than half of all foster families in Arkansas. Those Christian families have cared for more than 10,000 children and adopted more than 800. Since 2013, Promise686 in Georgia helped parents adopt more than 315 children, recruited 163 new foster homes, and taught 2,500 volunteers how to serve foster families. In 2016 alone, the 111 Project signed up more than 1,000 foster families in Oklahoma. Orphan Care Alliance is training and supporting foster and adoptive families—and their support teams—in Kentucky and southern Indiana, while Safe Families for Children has built an international pre-foster-care support system from Chicago. And Focus on the Family launched an Adoption and Foster Care Initiative and also Wait No More events to recruit families and support the local organizations. In a country where 437,000 kids are in foster care, the improvement Christian “bridge organizations” have made can look small. But that’s the wrong way to look at it, Weber said. His goal is to get 10 percent of churches in every county in the country involved in foster care or adoption by 2025. “If we can get to that number,” he said, “then we’d have more than enough.” Every foster child that came into the system would have not just a home, but waiting families from which to choose. “To get there will take a movement of God through his church,” Weber said. Medefind feels the same way.